The closing session of the Saman Kelegama Memorial Conference, organised by the Institute of Policy Studies of Sri Lanka (IPS), tackled some of the stifling bottlenecks Sri Lanka faces in its transition towards a High Middle Income Country (HMIC). Diversification of the export basket, a more effective communication strategy to build support for reform initiatives, and addressing the skills constraints of the labour force were cited as top priorities. State Minister of National Policies and Economic Affairs Dr. Harsha De Silva opined that Sri Lanka should identify as an ‘Indian Ocean Country’ in line with its rich history of being a strategically located trading nation. 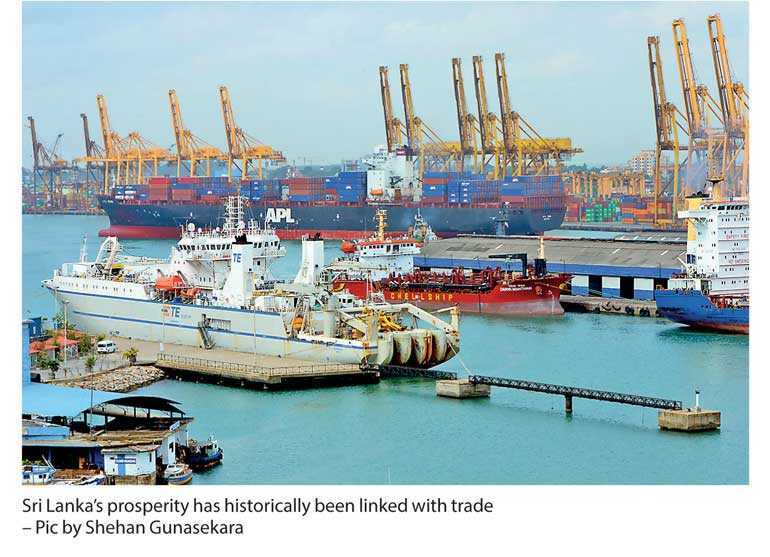 Sri Lanka’s prosperity has historically been linked with trade and any deviation from this outward-oriented model in today’s context would be ill-advised. He made a case for a “knowledge-based, highly-competitive, social market economy centred in the Indian Ocean”, where the driving forces for trade-led growth hinge on removing barriers that block enterprises from engaging in trade, getting rid of para tariffs, and entering global production networks. Diversification of the export basket from its current static state towards more complex products – albeit long overdue – was touted in the discussion. Sri Lanka has lost its competitive edge in the ‘simple products’ space – that many of its competitors are catering to at lower production costs – and must therefore diversify into more complex products types. Distinguished Fellow of the Centre for Policy Dialogue Bangladesh Dr. Debapriya Bhattacharya added that this is a classic case of the ‘middle income dilemma’, where Sri Lanka has exhausted its potential in a low wage export structure and is struggling to move higher. He added that diversification of not just export products, but exports markets, is also vital for growth. Trade Advisor to the Ministry of Development Strategies and International Trade Anushka Wijesinha identified three priority areas for building support for reform initiatives. First, a concerted effort to bring people on board, with the narrative on economic reforms, is necessary for success; economic policymakers need to do much more on this front. Second, effective communication involves telling people what they stand to gain from reform. Catering to the ‘me-economy’ is important, since not everyone is enticed by the ‘grand plan’ of a better economy, but are more likely to subscribe to reforms if they are told what they stand to gain from it. Third, identification of winners and losers of a given reform is vital to be able to actively get the winners on board and compensate the losers. This is a more effective way of pushing through difficult reforms, rather than responding to public backlash after the fact. It was also noted that getting the private sector on board is an effective way of insulating electoral cycles from policy reforms. Central Bank Additional Director Dr. Roshan Perera, voiced her thoughts on how Sri Lanka still has room for ‘catch up growth’ in terms of labour and capital augmentation. Low levels of female labour force participation and low productivity of SOEs allow some room for catching up. However, Sri Lanka has surpassed having the “luxury of labour” in terms of the demographic transition it is currently experiencing; the workforce will soon shift towards an older population, with fewer economically active people. Given this scenario, Sri Lanka should embrace the idea of a ‘knowledge economy’ –where citizen participation and active learning are vital components of the learning environment and skills acquisition. IPS Research Fellow Dr. Bilesha Weeraratne pitched in on what migration policy can do to bring talent into the country, in the context of addressing the Sri Lanka’s skill gaps. She explained that the current policy is focused mainly on promoting outward migration – sending migrant workers out and receiving remittances – rather than an approach that balances between retaining talent and sending out the surplus. This is ill-advised since there is a skills deficit in Sri Lanka. 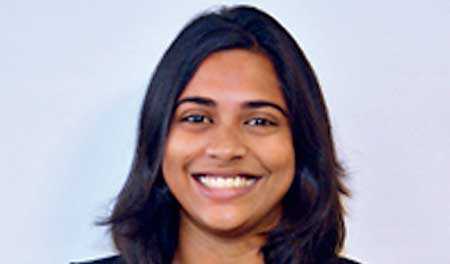 She noted that Sri Lanka can do more to capitalise from the global talent pool, by promoting inward migration and reintegrating talent to fill skill gaps. For instance, much can be done to incentivise the large population of second and third generation migrants to contribute to the economy – skills gaps in STEMS can potentially be addressed in this way. Furthermore, the higher education sector needs to open up and opportunities should be given for international students to study in Sri Lanka. The country should give serious thought to integrating them into the workforce through programmes such as internships. There was general consensus at the session that the private sector has a crucial role to play in pushing reform initiatives forward. Getting the private sector on board was seen as an effective means of insulating electoral cycles from policy reforms. Although Sri Lanka did not fully capitalise on its post-war growth dividend, some well-established recipes for transition have emerged, as discussed above, and are long overdue. The successful implementation of these recipes lies in effectively pitching the reform message to public sector officials who roll out reforms, to the private sector, and to the general public, rather than “preaching to the converted”.